For more than two decades, we have been proudly serving residents and business owners throughout Jefferson City, MO and the surrounding areas. No matter what type of heavy duty new or used equipment you are looking for, you will find a large selection of high-quality products to choose from when you shop with us. Our goal is to provide your company with the products, services, and knowledge needed to complete all of your most important jobs. 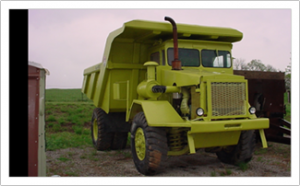 Whether you are in need of quarry equipment, mining machines, or even feeders and trucks, we can help. 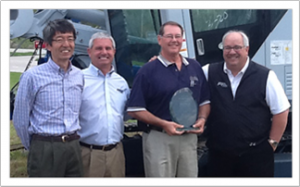 We offer cranes, forklifts, and rock drills from some of the top names in the industry including Furukawa rock drills. Although we specialize in drilling, we represent over a dozen companies dealing with breakers, crushers, screening, earth moving, and replacements parts. We are here to provide your company with the resources needed to complete your mining or aggregate job with ease. 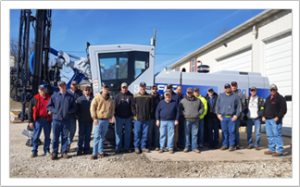 We invite you to browse our website and check out our complete inventory of products, including our state-of-the-art crushing equipment. We are always updating our catalog with new machines, so make sure you check back frequently. If you have any questions about our products or services, you can give us a call today to speak with a member of the Rackers Equipment Company team!